Matthew Smith is Head of Sustainability at Storebrand, a Scandinavian Pensions and Life Insurance company with a strong focus on sustainable investment. 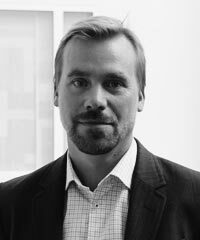 He joined Storebrand in 2008 as a Senior Analyst in the department for Sustainable Investments, specializing in analyses of compliance and anticorruption systems and the financials sector. In March 2014, Smith assumed his current role, which involves corporate sustainability strategy and communication, sustainability coordination across the group, and reporting. Prior to joining Storebrand, Smith worked as an Environmental Advisor and as a teacher.